Are you experiencing difficulties falling asleep? Brew yourself a cup of chamomile tea. Or if you have difficulty feeling hungry when you should be eating, stimulate your appetite with a cup of dandelion tea. Different types of tea contain different healing properties for your body. 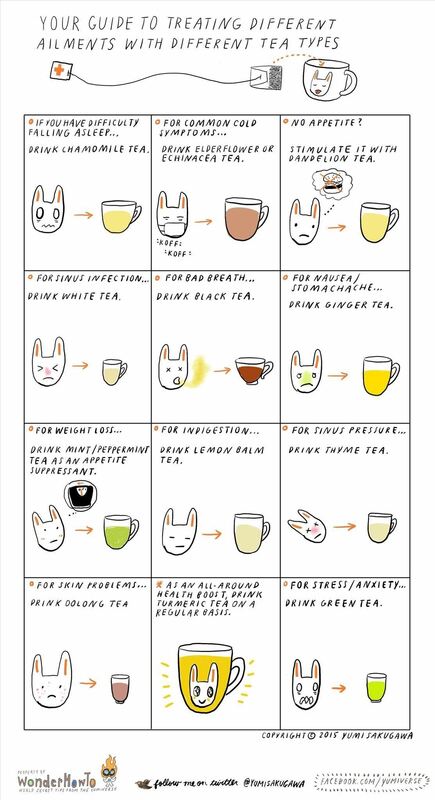 Read below for all the different tea types and which ailment they can be best used for. After you are done drinking tea, don't forget to save the tea bags for additional practical uses. How To: Say basic ordering phrases in Polish: "Menu" & "tea"